Coming Up at The Library! Have fun with other Lego enthusiasts creating objects with our Lego blocks. This play session is meant for children in Kindergarten through 5th Grade. Learn the basics of email with instructor Theresa Shafiabady. Adults who sign up for this program will need to attend both days of the program. 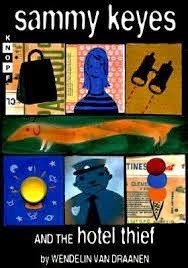 Join us for book club night for kids in 5th through 8th grade. For the month of October we are reading Sammy Keyes and the Hotel Thief. Come along for a lively discussion. Calling all kids, from pre-school on up, to read to our special therapy dogs who like listening to stories from a lot of different books. 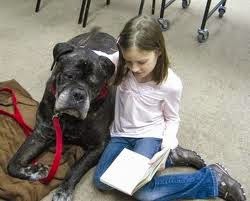 If your child cannot read yet, mom or dad can read to both the child and the dog. Storytime is a mix of crafts, stories, music and snacks to help young children develop a love for reading. Parents and guardians can bring their 6-months to five-year-old children in for a time of storytelling, crafting, music, and fun. Thursday, October 23rd from 6:00 p.m. till 7:30 P.M., Busse and Rieck Meet Up! Join us for a special presentation at the Busse and Rieck store on Station Street by their lead designers to get ideas on new trends in home decor including Nordic ethnic pieces and Owls. Refreshments are included. This event is free but space is limited. Hurry to sign up for your spot! The Friends of the Limestone Library present the Annual Fall Festival for all ages. Families are invited to come and enjoy an afternoon of fun activities including story time in our Spooky Schoolhouse with the Acting Out Theatre Group, crafts, wagon rides, book sale, and door prizes. Come dressed in costume to add to the fun! Chicago Jedi Tomorrow from 11-3!